Stop Islamisation of Europe! 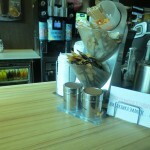 … well, do you like your coffee? Napkins with these inscriptions appeared in McDonald restaurants in Zgierz in response to increasingly radical xenophobic and racist sentiments in the town. Witty napkins were just a part of a large number of activities in the Open Zgierz implemented by the A. Gołąb Association for Children and Youth Ability Enhancement in Zgierz. An exceptional town with a longtime history of diversity, Zgierz is the third largest community in the metropolitan area of the city of Łódź. In the nineteenth century, 36 per cent of the population was Catholic, 39 per cent were Protestant, and 24 per cent were Jewish. We wanted to demonstrate that Zgierz is an open-minded community not because this is our idea but because it has always been like that. Indeed, it is an ideal place to address cultural diversity. We thought the community should address this topic bearing in mind there is a refugee shelter just a few miles away. Anyway, we want every person to feel good in Zgierz, regardless of the minority he/she is part of, says Weronika Jóźwiak, one of the project co-ordinators. The campaign lasted several months. The goal was to trigger debates about differences and diversity. We wanted to be visible, we wanted to fill the town with our attitude and invitation to embrace multiculturalism and openness. Racist and xenophobic moods have become only too visible in Zgierz, says Jóźwiak. The town was filled with colourful murals, abusive graffiti was covered with paint and magnets with quotes from John Paul II, Irena Sendlerowa and Marek Edelman were attached to road signs. On the restaurants’ and shop windows colourful stickers were stuck and positive graffiti appeared on walls. All that was ‘ethical’ and according to rules and regulations, adds Ilona Majewska, another co-ordinator. We made pavement graffiti with easy-to-wash spray paint and we used electrostatic stickers. We received permits for all murals and wall graffiti. The goal was accomplished. 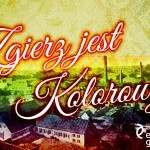 The Open Zgierz project gained much publicity, more and more people joined in and several thousand people registered for the Festival of Colours (Holi) in just a few hours. The phrase Open Zgierz has become a generic term. We have continued to monitor the media to watch for the uses of the phrase. Here is a touching situation: two ladies are chatting in social media, one of them writes: “Do come along, Zgierz is open for everyone,” says Weronika Jóźwiak. We have found a panorama picture of Zgierz with the author’s caption “Our beautiful open Zgierz”. The project also got the attention of its opponents. Murals were regularly destroyed and abusive graffiti kept coming back. We would sometimes call the police because some people obviously did not like the fact that we painted over such graffiti, says Majewska. 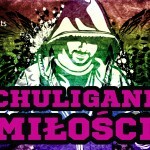 The most attacked figure was Mateusz Mirys, a highly visible activist in Zgierz, a co-architect of Open Zgierz. Stickers saying “Mirys, you fairy, we’ll not stop painting” appeared in the town and a chanting group with flares came in front of his house one day. It was scary to see the debate shift so far and the resentment manifested by anonymous acts of vandalism come forward to confront us and fill the real world, says Mirys. Why there is no greeting in polish? 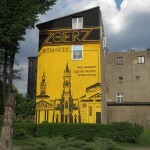 Much to the activists’ surprise, the biggest controversy surrounded a mural in Długa Street in Zgierz that portrayed three sanctuaries: a synagogue, a Protestant church and a Catholic church that used to co-exist in the town before the outbreak of World War II. The mural featured a greeting in three languages, German, Hebrew and Russian. People asked why these three languages and why not Polish. Mateusz Mirys explains, we wanted to welcome ‘strangers’ coming to Zgierz and we thought Polish was irrelevant in this case. On second thought, maybe it should be there? The letter ‘o’ with the inscribed Star of David with a cross, an artistic effect included by the authors, raised much controversy. Despite the related controversy and emotions, the mural lasted intact for a long time. It was splashed with paint only in November, about six months since it was made. There was much resistance to the Open Zgierz project in schools attended by refugee children. They are often quite unprepared to attend the Polish schools at the time they are enrolled. They do not understand the culture or the language. Therefore, sings in Russian with pictograms (“Headmaster”, “Nurse”, “Toilette”) were put up in schools and a Parents’ Package containing basic information (excused absence forms, school rules and regulations, parent’s consent to school trips etc.). While the package was not controversial parents did not like the Russian signs in schools. We spent a lot of time explaining the concept but we kept hearing that the school was being ‘Russified’, Jóźwiak explains. The signs were later removed in some schools. Fortunately, there were schools that had asked for more of them and they were used in schools that had Kazakh or Chechen pupils. Russian, not a native language of the kids, is still the language they often understand much better than Polish. The idea behind the signs was to make life easier for the kids in the early days at school. We conducted workshops for teachers about ways of working with children from other cultures and key things to which teachers must pay special attention. We alerted them to things they should have at the back of the their heads while working with Polish kids who attend school with foreigners, says Majewska. A stop motion video was developed with children from the Grotniki Refugee Centre and screened in schools. The video was a story about kids being in Poland and things people should know about them. The kids produced a moving story of rabbits who fled their woods. Majewska explains: we showed the story in schools and combined it with discussion sessions about who refugees were, why they must be helped, what they needed and what it was like to be in a foreign place. Has anything changed in Zgierz? Things that happened under the project did create a positive energy, replies Mateusz Mirys, smiling. We cannot say how much the sentiment has changed because we have not conducted proper scientific research. However, we did have a lot of positive feedback. Abusive graffiti, painted over seven times, have not reappeared in most cases. A working relationship with the local government has been successfully established. The association has received numerous emails from all over Poland, often from very small communities, asking for the copies of the Reversed Role Fairy Tales written during the project. These requests have been coming from libraries, schools and charities. The book provokes by telling stories about brave princesses and beautiful princes. We feel something positive has happened. We have made a strong statement about the issue. Now, it’s time for the day-to-day education, adds Mirys. Workshops started in schools in October: 500 hours of sessions on cultural diversity, religions and about how our upbringing and language influence our world view. When we talk about Islam we keep hearing pupils imitate the sounds of explosions, Weronika Jóźwiak describes the workshops. Having talked to young people we discover that this hot-tempered attitudes and opinions are really skin-deep. Pupils show interest, ask questions and explore issues. We feel it would be ideal if some cultural diversity themes were regularly addressed in Polish, History and Civics classes. The Open Zgierz project was implemented under the Citizens for Democracy funded by EEA Funds.